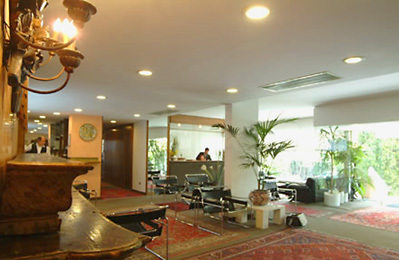 Located close to city center, the Ghironi hotel is an ideal base for business travelers offering immense range of services and comfortable rooms. 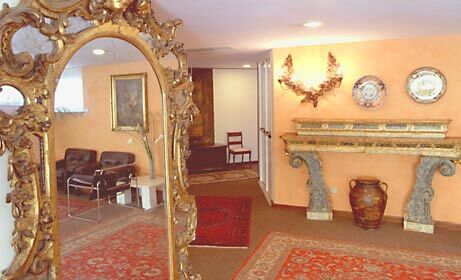 In the area guests can enjoy boating and walking around the suggestive tracks in the spectacular scenery of the Gulf and the Cinque Terre or arrange day-trips to the archeological ruins of the ancient Luni and the marble quarries of Carrara. 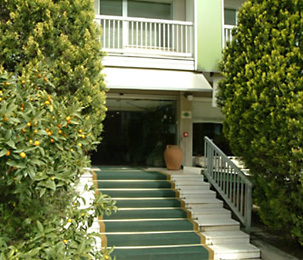 The hotel features 52 rooms. 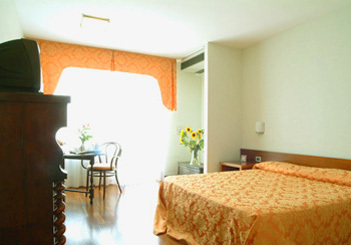 Standard rooms (double, marital or triple) are spacious and designed for business travelers and equipped with a writing desk, direct dial telephone, bathroom with shower, hair dryer, video, satellite TV, mini-bar, adjustable air conditioning, and balcony. Some rooms are suitable for the disabled. 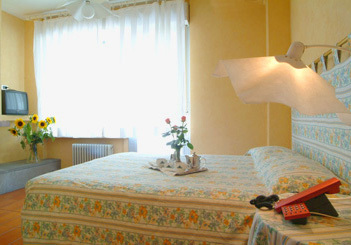 Superior rooms, with marital beds, are designed for those who want maximum relaxation or for families. 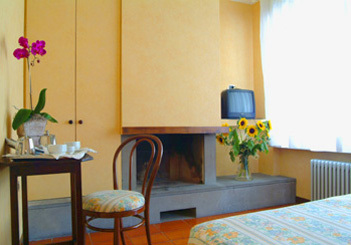 They are additionally quipped with a wide bathroom with Jacuzzi. Suites also have a living room, DVD player, and working desk. Guests can have breakfast in a beautiful garden. Children free of charge up to 12 years of age. 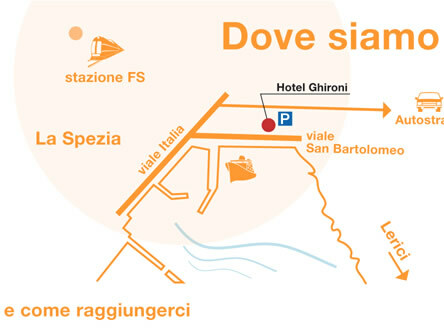 The Ghironi Hotel is located at the beginning of the motorway junction, near the city center. The distance to the nearest airport is 50 km.